SAFI will be exhibiting at EXPONOR 2019 in Antofagasta (Chile) from the 27th to 30th of May 2019. 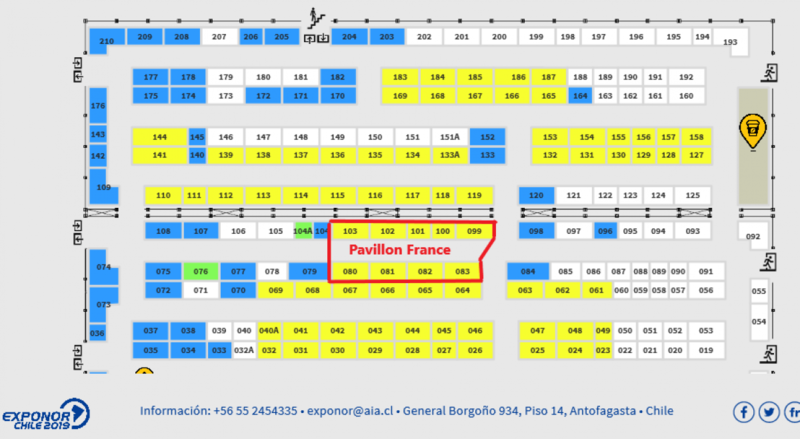 Meet us at the French pavilion, Cobre hall, booth 083. Exponor is a global technology and innovation exhibition in the mining sector in Antofagasta, Chile, every two years. It is a complete exhibition of products and services, innovations, progress and improvements proposed by industrial and mining suppliers in the global market.